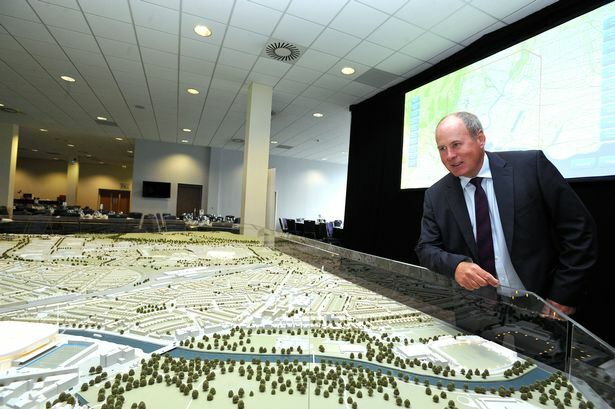 Chairman of the Cardiff Business Council, Nigel Roberts, pictured with the new interactive model. As reported today in the Western Mail and South Wales Echo by Sion Barry, it is great to see the city and region being presented to the world in the heart of London. Exhibiting at the UK equivalent of the famous MIPIM property exhibition in Cannes in France and showcasing the fabulous new model of the city, it is pleasing to read that several enquiries have already been received from possible inward investors. For too long we have allowed other city regions in the UK to capture the limelight and market opportunities for inward investment to those regions. 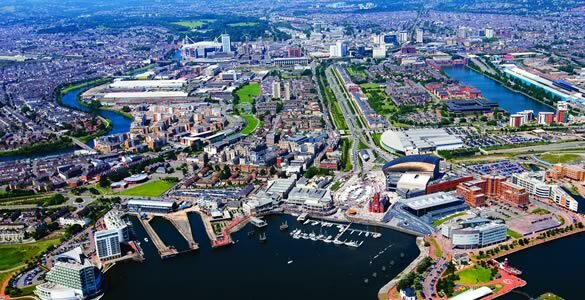 Sharing the story of Cardiff and the wonderful opportunities which there are for companies seeking a move or expansion in the UK can only be a positive step. Nigel Roberts, Chairman of the Cardiff Business Council and Ken Poole, Head of Economic Development, are to be congratulated on this initiative which I know is part of a new strategy to sell our city to the world. I look forward to seeing other initiatives in the future. Well done to the Cardiff Team! !